[W3226] Reading the Tea Leaves – What are the Top Ten Risks Your Home Health Agency and/or Hospice will Face in 2018? 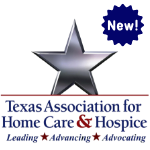 Program Description: Join us as we discuss the likely challenges and risks facing your home health agency and/or hospice.What are the chances that your agency will be audited? What are the administrative enforcement remedies currently being pursued by UPICs and ZPICs? How should your agency respond? In this webinar, attorneys Richard Pecore and Lorraine Rosado will discuss ways your agency can reduce its level of risk. Participants will actively engage in the learning activity and indicate an intent to change or enhance their practice by identifying compliance and quality improvement issues to ensure agency compliance and improved quality of care. Richard B. Pecore is a licensed Texas attorney with over 20 years of experience. Mr. Pecore is a graduate of the University of Texas and South Texas College of Law Houston. Mr. Pecore joined Liles Parker as an associate attorney in January 2012 and became a partner with the firm in February 2016. Mr. Pecore has worked on a variety of health care related matters, including 5 years litigating asbestosis and silicosis related personal injury cases, and the past 6 years focusing on Medicare and Medicaid administrative provider appeals and creating provider regulatory compliance plans. Since joining Liles Parker, Mr. Pecore has focused on “big-box” Medicare and Medicaid overpayments. He has successfully defended overpayment cases ranging in value from $15,000 to $6 million dollars. Prior to joining Liles Parker Mr. Pecore owned and successfully operated an OSHA workplace safety training and custom video company in Austin, Texas. He litigated asbestos and silicosis related personal injury claims for refinery, industrial, and government workers in the Corpus Christi and Texarkana, Texas areas. Mr. Pecore offices in Houston, Texas and visits our McAllen, Texas office by appointment. Mr. Pecore is a Certified Medical Compliance Officer (CMCO) with PMI, is a member of the American Health Lawyers Association (AHLA) and a member of the American Dental Coders Association (ADCA). Mr. Pecore lives in Kingwood, Texas. He is a WWII aircraft enthusiast, a Heritage Flight Experience Holder and a Rivet Holder for the Commemorative Air Force’s B-17G heavy bomber “Texas Raiders”. Lorraine Ater Rosado is a key member of Liles Parker’s healthcare team and has been an attorney at the firm for nearly six years. She defends healthcare providers facing overpayment claims and counsels clients nationwide on compliance with healthcare statutes, regulations, and contract matters. She has represented providers in panel qualification and termination matters. She has extensive experience working on complex cases involving both Federal and State violations of the False Claims Act, including whistleblower cases. She is skilled in administrative litigation and appeals. Lorraine has handled claims disputes involving most major healthcare payors, including Medicare, Medicaid, TRICARE, various BlueCross BlueShield entities, and UnitedHealthcare. She is experienced working on large, complex administrative appeals of extrapolated alleged overpayments assessed by Centers for Medicare and Medicaid Services (CMS) contractors, including Zone Program Integrity Contractors (ZPICs), Medicare Administrative Contractors (MACs), Recovery Audit Contractors (RACs), and Medicaid Integrity Contractors (MICs).